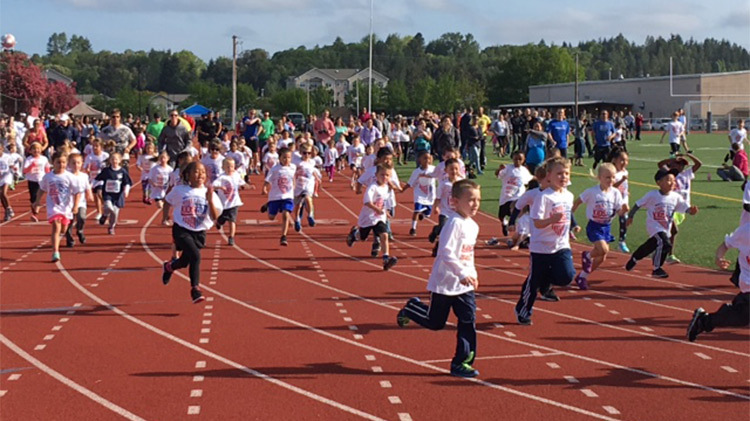 Date: Apr 13 2019, 9 a.m.
2019 America’s Armed Forces Kids' Run at Cowan Stadium! Distances: 5 & 6 year olds = 1/2 mile. 7-8 year olds= 1 mile. 9-16 year olds = 2 miles. Preregister your youth early to make sure they get their free t-shirt! Click here to print off the registration form. You must preregister by March 31 to ensure you receive the free t-shirt. Drop off the form at the Youth Sports office or the entry box at either the Lewis or McChord Commissaries. Late registrations are accepted in the Youth Sports office only. Pre-race day packet pickup available at Youth Sports: April 8-12, 1-3 p.m.